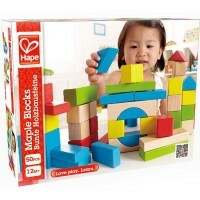 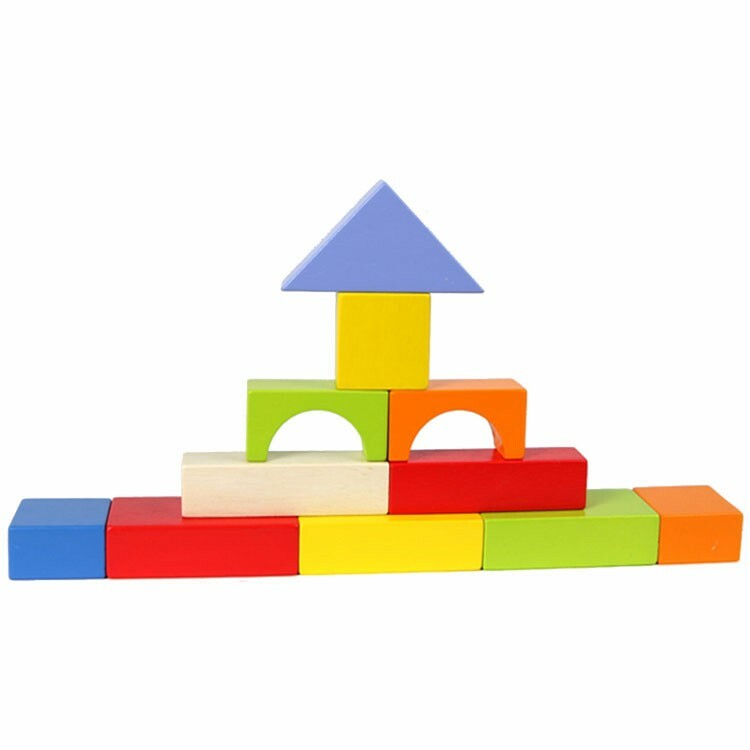 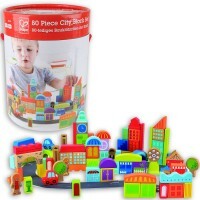 Baby push toy, first set of building blocks, toddler activity toy - all in one box with this Block and Roll playset by Hape. 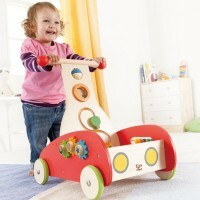 This brightly colored push toy brings multiple developmental activities for toddlers or babies who make the first steps. 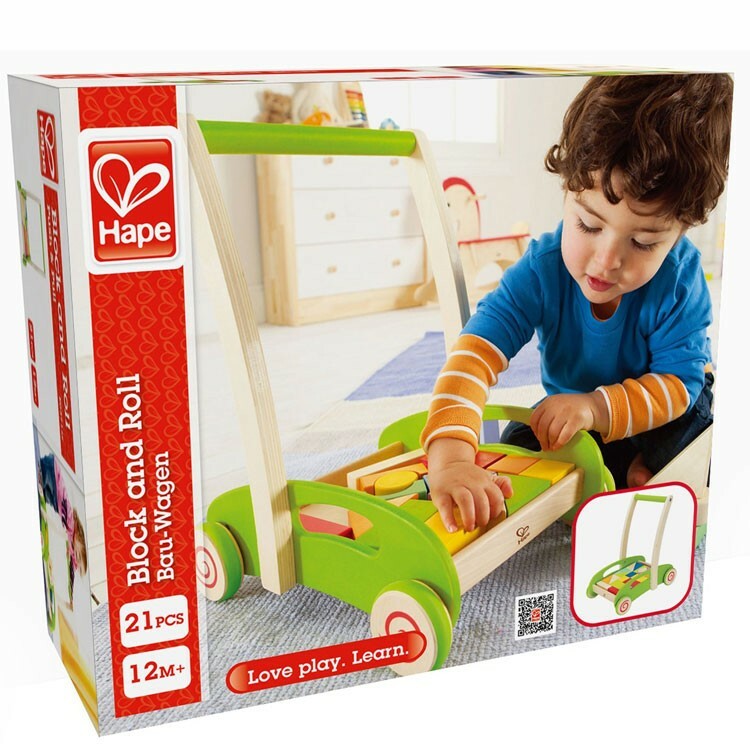 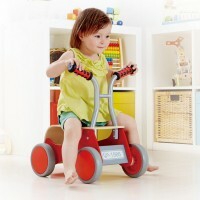 Block and Roll Toddler Push Cart by Hape features a 4-wheeled wooden push cart with handle. 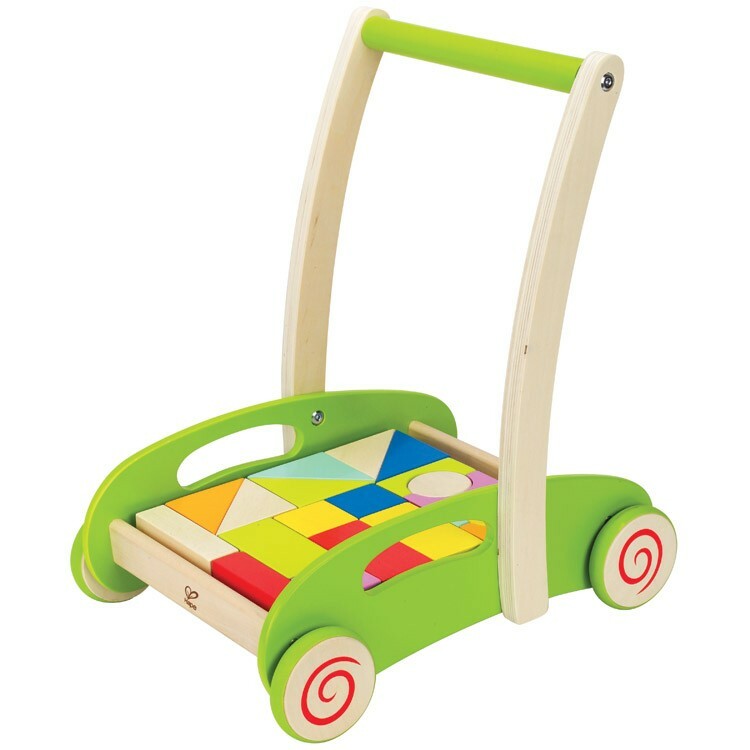 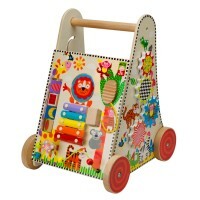 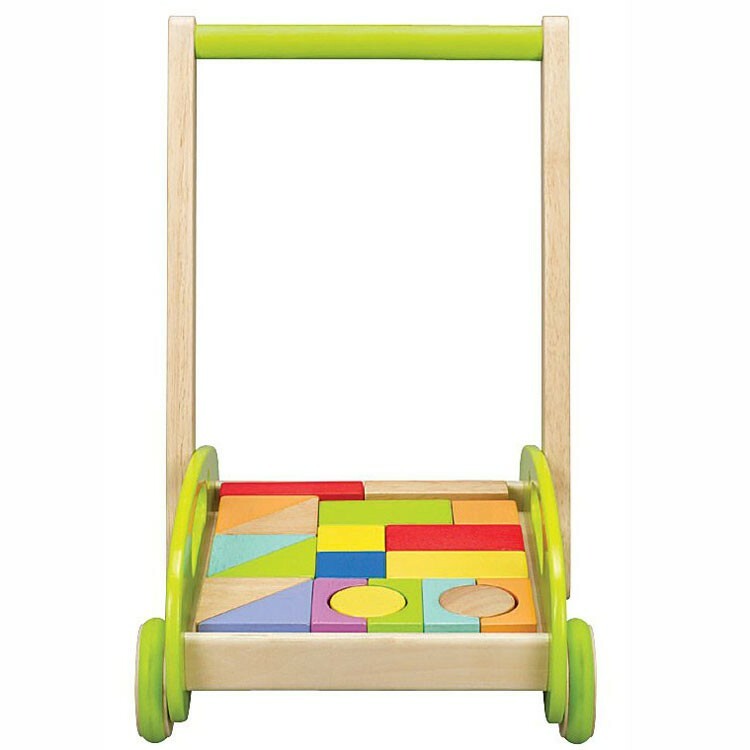 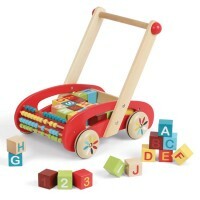 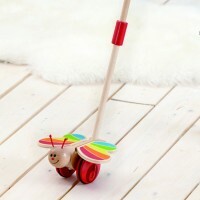 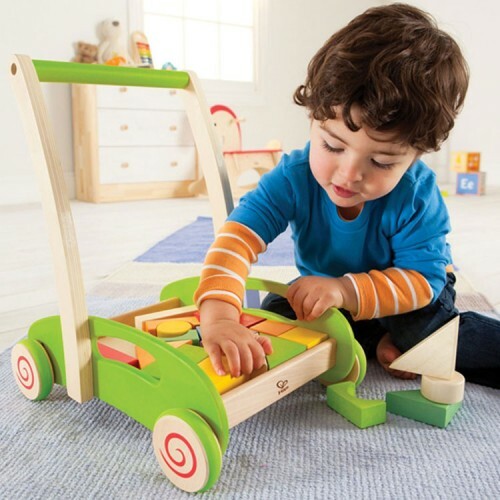 This baby walker comes with 21 colorful wooden blocks for constructive fun. 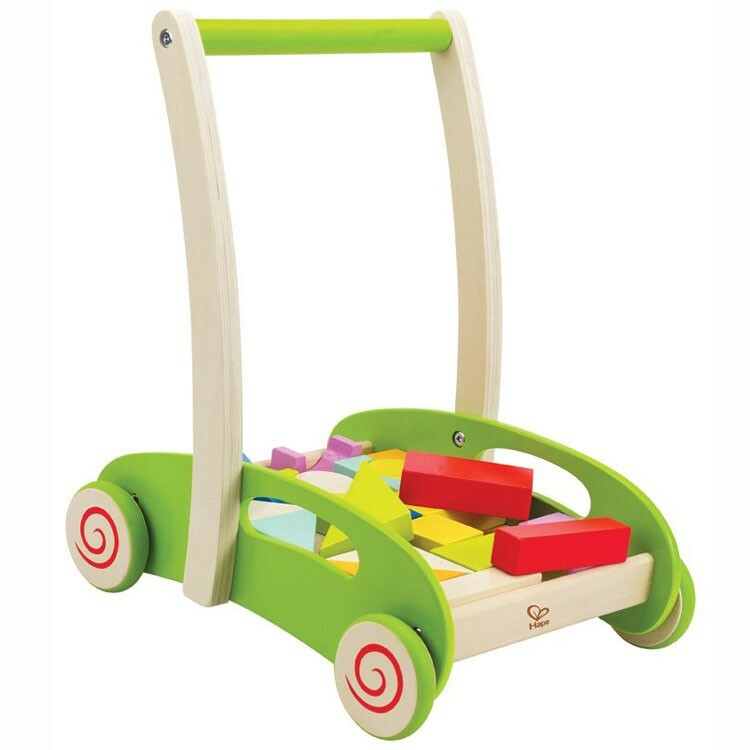 Push the walking cart around, dump the blocks, stack the blocks or build colorful structures, clean up the wooden set back in the cart and have the non-stopping fun with this kids walker toy. 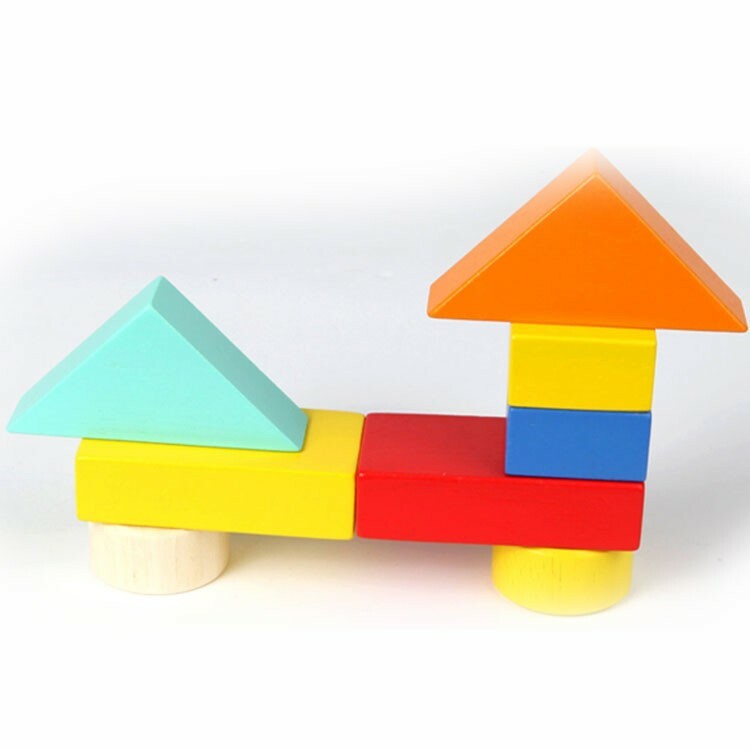 Promoting first attempts in movement and creative building this push and pull toy is a great gift for babies and toddlers. 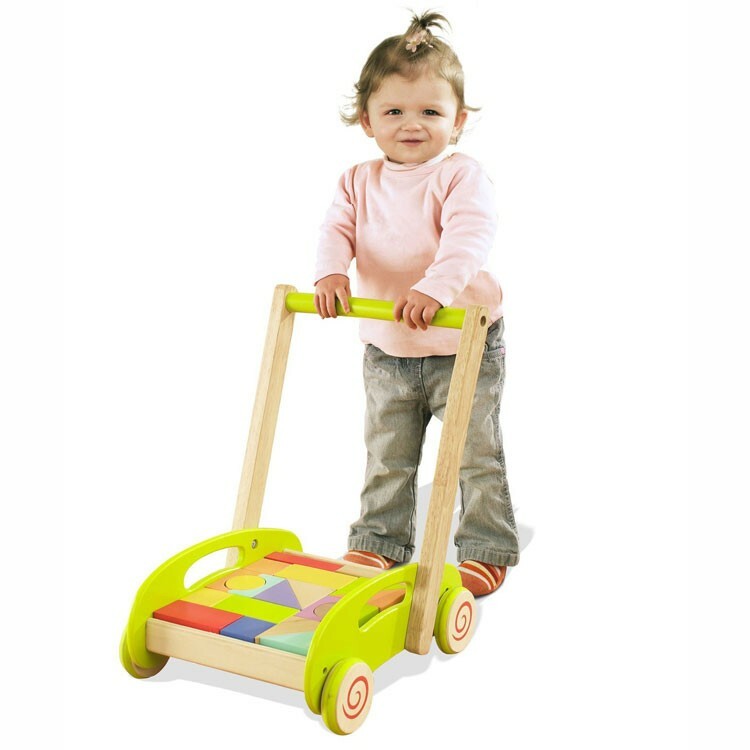 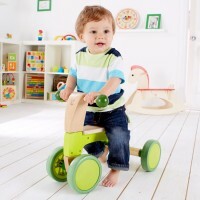 Block and Roll Toddler Push Cart from Educational Toys Planet measures 13.9 x 11 x 16 inches. 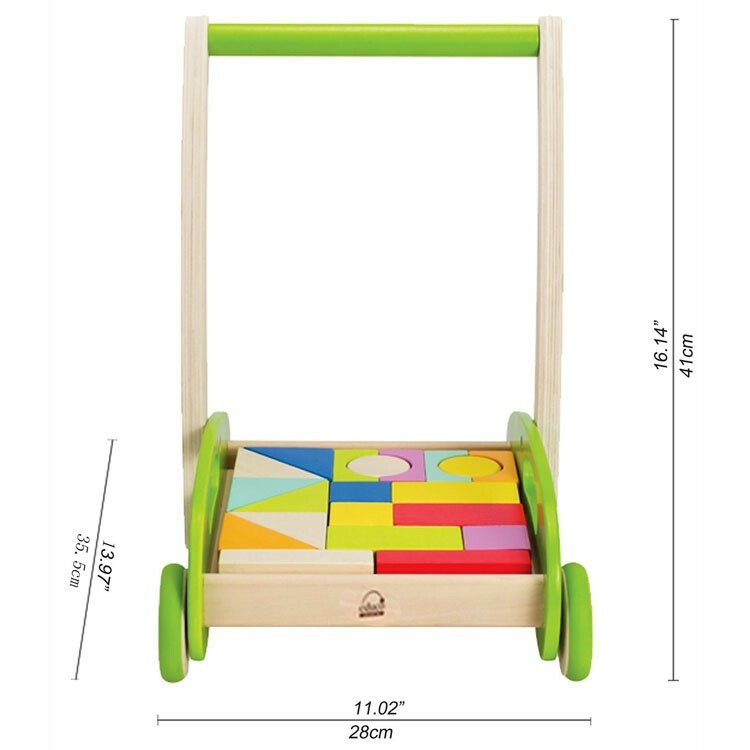 Dimensions of package 11.14" x 13.9" x 16.06"
Write your own review of Block and Roll Toddler Push Cart.